Fukushima data obfuscated in technical jargon makes it clear the situation is deteriorating and much worse than corporate media headlines lead you to believe. 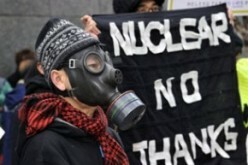 Were it not for certain nuclear whistle blowers and outside, independent experts, the public would have to rely on the glib and technically inaccessible reports from Tokyo Electric Power Company (Tepco) or the Japanese government. Not that those reports are entirely without substance, but due to the incomprehensible technical jargon most people simply throw up their hands and hope for the best. Luckily, in this day of the Internet we can learn a lot about what is going on thanks to independent researchers and writers. 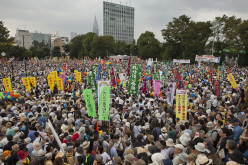 To the extent that mainstream newspapers have covered the issue responsibly, and there has been substantive coverage, web sites like “enenews.com”; “fukushima-diary.com” and “rense.com” have served as information clearinghouses for mainstream news, academic studies and independent sources of journalism about the nuclear crisis in Japan. Given this wide perspective, it is hard to see how any meaningful progress is being made at the Fukushima Nuclear Power Plant (FNPP). This is the conclusion I drew, or anyone with reasonable skills of observation would have drawn, in April of 2011. The Japanese government kept telling us that “everything is under control” and there is “no immediate danger,” all the while, lying through their teeth about the reactor meltdowns. Any intelligent layperson who considers the technical aspects of the disaster will be at a loss as to how the plant operators will be able to restore the cooling system, which may be badly damaged, to reactors that themselves may be unrepairable or in various states of melt-down. If the nuclear fuel in the reactors has melted through to the floor, what would be the point of setting up a cooling system to a dysfunctional reactor and a pool of melted fuel? No one in the government clearly answers these questions nor has the international community come forth with a possible solution. (1). Credit must be given to the hard work of engineers and makeshift cooling systems were installed, but the state of the reactors is precarious–highly radioactive–and things have not gone smoothly for plant operators, Tepco. As for long term solutions, none are presented. We are supposed to believe that out of this gigantic mess of strewn rubble and constantly leaking pipes and cooling systems, progress is being made. At some level there is: as long as the melted fuel keeps cooling and there are no other major earthquakes, the level of radioactivity will naturally decrease. But this is a hypothetical, best-case scenario. 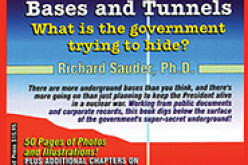 The fuel pools of Units three or four could collapse in another large earthquake and the highly radioactive fuel rods will not be removed until 2013 at the earliest– putting the entire world in grave peril every second that ticks by. It’s no wonder nuclear watchdogs have created a special rating system for Fukushima– putting it in a new category, above Chernobyl, as a no. 8 level nuclear disaster. 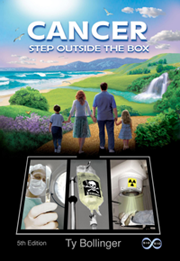 Fukushima is a “[m]ulti-source major nuclear accident requiring international assistance and monitoring” (3). Meanwhile in Tokyo the Japanese government admits that the incineration of radioactive debris shipped from the tsunami disaster zone, from 2011 to 2013, will emit at least 2 billion becquerals of radiation into the air (according to my calculations) (4; 5). Yes, you read that correctly: TWO BILLION. Compared to the FNPP disaster that is not much at all, that number could end up being lower, or even much higher, depending on how much debris is burned, how radioactive it is, whether the equipment malfunctions, and so on. The curious point is that the Japanese government admits they are intentionally emitting radiation into densely populated urban environments. Nominally, this policy is “to help the people in the Northeast” (or more likely to help their buddies in the incineration business). This is sheer insanity, but these are the times we live in, when even Japanese school children are being given pamphlets “full of misleading information and half-truths” about the safety of burning radioactive debris (6). The government’s heartfelt concern for the inhabitants of the northeast is touching. But after 17 months there are still evacuees living in classrooms partitioned with cardboard (7) and rumors of many people dying from cancer due to radioactive fallout. This has gone unreported in the establishment press (8). a total of about 10 million becquerals per hour of radioactive cesium was being emitted from the No. 1 to No. 3 reactors as of June. That is about one-80 millionths of the level that was being spewed immediately after the accident (9). This is down from a peak of thousands of trillions of becquerals at the time of the reactor explosions (10; 11). Measured as quadrillions or as petabecquerals (10 to the 15th power) (12), the radiation emitted was comparable to Chernobyl, being well over half if not roughly equivalent in volume (13). 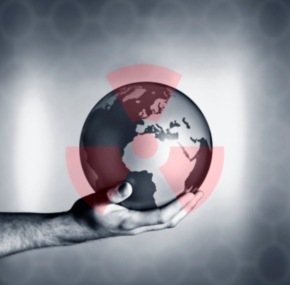 While the worst Chernobyl had to offer was pretty much over once it had blown its lid, Fukushima could still release vastly greater amounts of harmful radiation due to the nuclear fuel at the site. Although the government continues to dismiss the idea that the quakes themselves were the main cause of the nuclear meltdowns, while attributing the entire crisis to the “unforeseen” natural phenomenon of the tidal wave, they admit the quake caused “a 3-square-centimeter rupture in the piping of the emergency cooling system for the No. 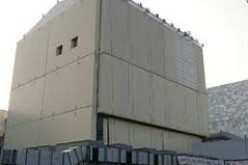 1 reactor.” In addition, they note “the possibility that tremors from the earthquake created a tiny rupture of 0.3 square centimeter or less, which later grew larger when the reactor temperature and pressure rose and radioactive substances leaked from there” (14). This is controversial given that independent scientists are not allowed to inspect the facilities and that witnesses saw the Unit 1 building collapsing before the tsunami arrived. One worker, a maintenance engineer in his late twenties who was at the Fukushima complex on March 11, recalls hissing and leaking pipes. ‘I personally saw pipes that came apart and I assume that there were many more that had been broken throughout the plant. There’s no doubt that the earthquake did a lot of damage inside the plant,’ he said. ‘There were definitely leaking pipes, but we don’t know which pipes – that has to be investigated. I also saw that part of the wall of the turbine building for Unit 1 had come away. That crack might have affected the reactor’ (15). In addition to the accumulation of evidence that the earthquake itself was a primary cause of the meltdowns (16; 17) — something the industry does not want to admit — there are other inherent flaws in the way nuclear power plants are built and operate. Gundersen points out that the service pumps failed because they were flooded by the tidal wave on 311. 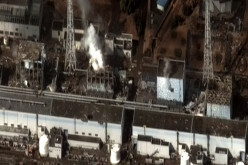 The plant manager at Fukushima Daini, which is six miles away from Daiichi, is quoted as saying that if the tidal wave happened on a Saturday his four units would have melted down too. He had a thousand people on site because it was a Friday, but if it happened on a weekend there would have been a skeleton crew there. The roads had been destroyed so nobody could have gotten in to help, and we would have had Fukushima Daiichi and Daini in meltdown conditions. What happened was almost unimaginably unimaginable. To repeat: had the earthquake happened on a Saturday or Sunday there would have been eight instead of merely three meltdowns– you can’t make this stuff up, folks. THE STATE OF THE REACTORS IS STILL DETERIORATING. This hardly sounds like a successful “cold shutdown” and tends to support Gundersen’s idea that the units 1 – 3 will have to be entombed in concrete (if not with Japanese parliament member’s tempura, leftover from their extravagant taxpayer funded banquets). Recently there is talk from engineers who have intimate knowledge of the FNPP situation, and even from the government, that Japan needs to recruit help from the international community of scientists and engineers (21; 22; 23). Hey! Good idea, let’s hope they don’t wait too long. After all, this disaster is not only Japan’s fault, but an international issue from start to finish. The lesson yet to be learned is that nuclear power is inherently dangerous and that the consequences for humanity and the environment continue to be “unimaginably, unimaginable” in their size.